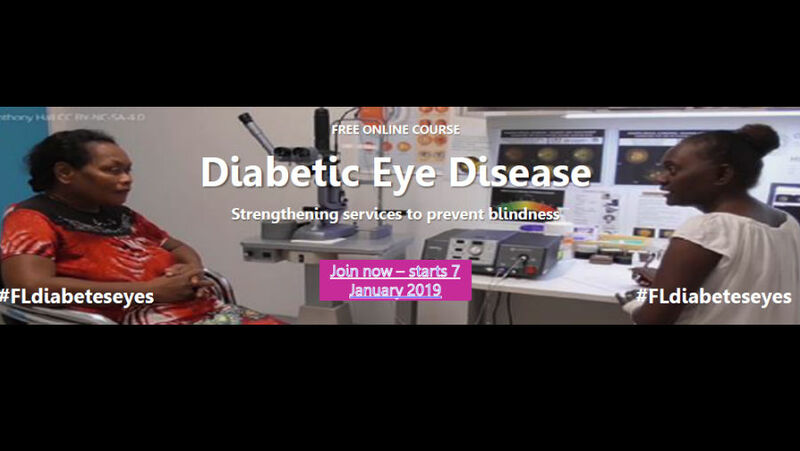 The International Centre for Eye Health and London School of Hygiene & Tropical Medicine free online course on Diabetic Eye Disease: Strengthening Services to Prevent Blindness starts 7 January 2019. In this online course, you will learn the key facts about diabetic eye disease and its management, and how health teams and people with diabetes can work together to reduce the risk of vision loss and blindness. Duration: 4 week course. 5 hours per week. Register for the Diabetic Eye Disease: Strengthening Services course here.